We know that the rumours about the Samsung Galaxy S7 and Galaxy S7 edge have been popping up a lot lately. Well, that’s mainly because of their fast-approaching launch at the Samsung’s unpacked event, which is slated for February 21 at 19:00 CET in Barcelona, Spain. However, Samsung has now put a stop to all those leaks by rolling out an official sneak peak video of the device, which shows some of the features expected in the forthcoming device. This is the second video in line with “TheNextGalaxy” tag. To start with, the Samsung Galaxy S7 will be a waterproof device, as the video clearly shows Indonesian archer, Dellie Threesyadinda using the device in the rain. Samsung has cleverly chosen to depict the everyday routine of an athlete, which is made easier with the help of Galaxy S7’s features and sturdy outlook. The video also shows the use of the Gear S2 smartwatch, which goes hand in hand with the Galaxy S7. The phone in the video looks a lot like the Samsung Galaxy S6, which means that the S7 has taken a lot of inspiration from its predecessor in terms of design. In the video, Samsung has not specified the name of the smartphone, and is sticking to just showing “TheNextGalaxy” tag at the end of the video. Interestingly, the company has created a dummy website with the name, Galaxy S7. The website drops hints about features such as ‘bring light to the night’ and ‘privacy at its finest’. A rumor surfaced on the internet recently, which suggested that the Galaxy S7 is expected to be priced at EUR 699.99 (approximately Rs 53,500) while the Samsung Galaxy S7 Edge will be priced at EUR 799.99 (approximately Rs 61,000) for the 32GB variant. The devices are most likely to be available in Black, Gold, and White colour options. Needless to say, Samsung needs the Galaxy S7 to be a big hit around the world as it lost its footing with the Galaxy S6. Although, the Galaxy S6 received positive reviews from most of the critics, but it couldn’t impress the budget conscious segment of buyers. The global trend has witnessed many consumers moving towards affordable phones by manufacturers such as Xiaomi, Huawei, Lenovo and Motorola. It means that even if Samsung rules the number one spot, it does need a successful device to sustain its growth in the year 2016. In terms of specifications, the Galaxy S7 and Galaxy S7 edge will showcase a 5.1-inch QHD Super AMOLED display and 5.5-inch curved edge QHD Super AMOLED display, respectively. The new feature onboard would be “always-on” display mode, which displays content on the screen with an efficiency of using just 1 percent of battery per hour when activated. Both the devices would be equipped with 12-megapixel primary cameras with phase-detection autofocus, OIS, ƒ/1.7 aperture, and 4K video recording along with 5-megapixel front-facing cameras. These primary cameras are touted to bear good image quality for fetching great clicks even in low-light conditions. These devices are expected to come equipped with a 64-bit octa-core Exynos 8890 chipset with custom designed M1 cores floating on top, clubbed with 4GB of RAM. It will also have 32/64GB storage space (128GB variant will be introduced later) with a microSD card slot with expandability up to 200GB, and 4G LTE connectivity. 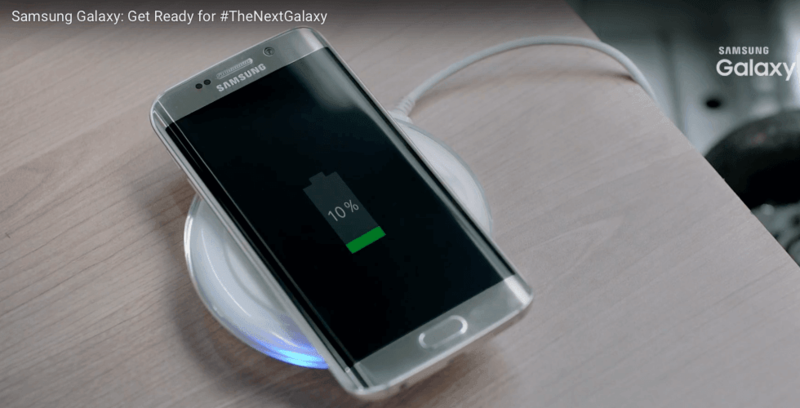 The Galaxy S7 is dubbed to be backed by a 3,000 mAh battery while the Galaxy S7 edge is said to feature a 3,600 mAh battery, both with the quick charge technology. Ringing Bells cheapest mobile phone is launched. Only 500rs for 3G dual sim mobile phone.